Product prices and availability are accurate as of 2019-04-19 08:47:00 CDT and are subject to change. Any price and availability information displayed on http://www.amazon.com/ at the time of purchase will apply to the purchase of this product. Since this book was published over a century ago, countless readers have learned through its pages that no one can teach prayer better than Jesus Christ himself. 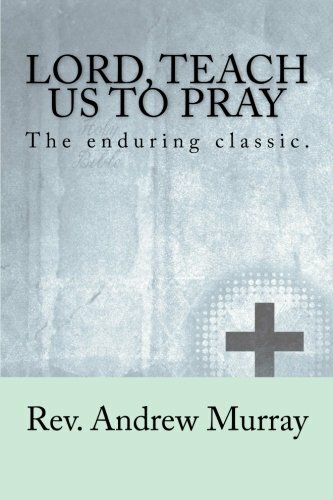 This enduring classic will transform your prayers and life as you open your heart to the prayer-lessons Jesus gave. "The Father waits to hear every prayer of faith. He wants to give us whatever we ask for in Jesus' name. If there is one thing I think the Church needs to learn, it is that God intends prayer to have an answer, and that we have not yet fully conceived of what God will do for us if we believe that our prayers will be heard. God hears prayer."